Back to some more kitchen love. And what's the main purpose of a kitchen? Cooking! And if you're not a paid professional chef, you may find yourself relying on recipes when it comes to whipping up a fab dinner. There are a lot of great ways to keep recipes organized, and as most organizing projects are, it's all about personal preference and finding what works best for you. 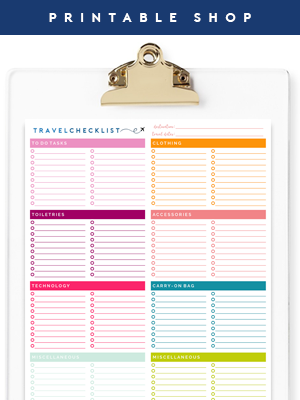 Many individuals may find using recipe cards and boxes, their fav way to corral all their family favorites, while others, may choose to go a binder route, which is the path I choose. 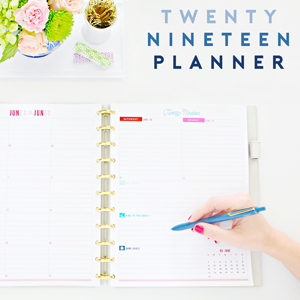 I started to realize I had a small problem when it came to meal planning, that I didn't know where to begin looking! I would be overwhelmed with stacks of magazines and papers, all containing an abundance of recipes. Not to mention, cookbooks... how do you find anything in a cookbook!? It was time to streamline! I started with my stack of food/recipe magazines. I personally Heart food magazines because it takes a lot less time to find an appealing recipe, than in the traditional cookbook. Why? Pictures of course! If I am visually drawn to a photo of food, then I will be a lot more apt to make it, vs trying to read through picture-less recipes for specific ingredients, which is far too time consuming for this gal. As time goes on, finding specific recipes within stacks of magazines can become more and more difficult. Not to mention, the bigger the stack, the more precious real estate they are taking up in my kitchen. So, time to go through each one, and remove all the pages that contain recipes that I would foresee myself enjoying. The rest of the magazine, heads to the recycling bin. Suddenly, the stack has shrunken tremendously. I had decided to stick with my typical way of storing magazine articles and clippings. Hey, if it works, no shame in reusing ideas over and over. Into a binder the recipes would go! First things first. I snagged a cute binder from my second home, Target, and added some lettering to the cover, to label the contents. 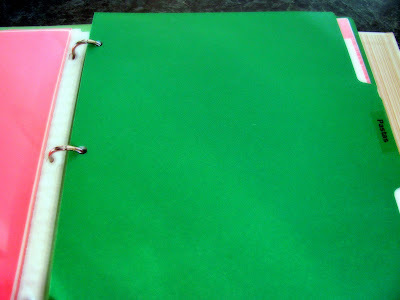 Then, I filled the inside of the binder, with plastic sleeves that contained colorful paper inserts. The sleeves will keep the recipes protected from spills and splatters. The colorful paper, is more for esthetically pleasing me, and giving me something to glue the recipes to, which creates a more unified appearance. 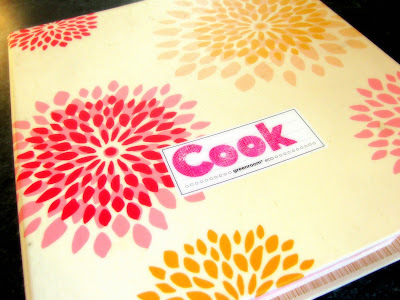 Then, just using a regular glue stick, I glued the recipes onto the pretty pink paper. Next is where I ran into some trouble. I had tried using two different types of pre-packaged binder dividers, only to find out, that the tabs didn't stick out past the plastic sleeves, making them next to pointless. So back to the store they went, and back to the drawing board I went. 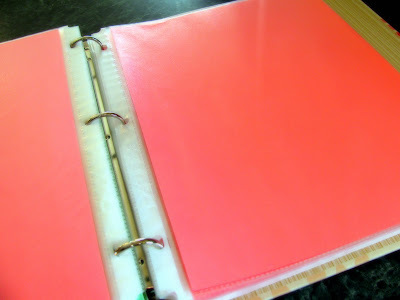 Then, it dawned on me that manila folders contain tabs, and they are larger than standard binder dividers. So, I just cut a manila folder in half, used a three hole punch and instantly had easy to see dividers. I also use one of the page protectors to hold take-out menus, which comes in handy when you are in a pinch for time! Next comes the internet. The internet is an amazing way to find gazillions of FREE recipes. That's right, I said, "FREE", and that is music to my ears for sure! Once I find a good recipe website, I make sure that I bookmark it in my favorites, of course, filed in a folder titled "Recipes"
And the super wonderful part of online recipes these days, is majority of them have the ability to be printed in many different formats, to assist you in saving them in an organized way! 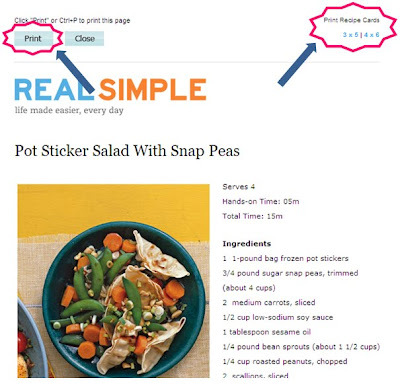 For example, Real Simple has the option to print recipes full page (which I find convenient, and then just stick in the handy binder), or you can choose to print them in different recipe card sizes, for those of you who store your recipes as such! And finally, not to leave out the all important cookbook. When I ventured away from my mom's nest, many years ago, I was given a few cookbooks to get me started on my own. I quickly found them discouraging, because many of them didn't contain, as I mentioned earlier, photos. I would read the names of recipes, and wouldn't want to spend the time picking them apart to determine if it would be something I would enjoy making. 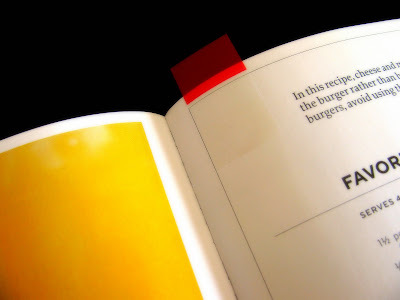 Therefore, I had quickly learned, that if I were really going to invest in a cookbook, it better come with some art! I definitely use the ones with good cuisine photos, mucho more often than those that don't. 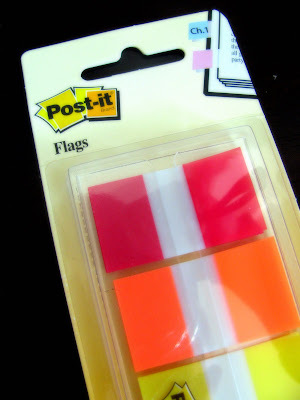 And when I find a recipe that I love and want to make sure that I can find again, simple Post-It flags do just the trick! When it comes to storing cookbooks, I have them in two different stacks in the food making room. I just Heart how they add beautiful splashes of color! My main recommendation as far as storing them, is to make sure they aren't too close to any cooking surfaces, to ensure they don't become covered in sauces and splats, which will prolong their precious lives! All this food chit chat is making me hungry! You getting hungry too? Do you have any good recipes you want to share with our readers? What about great recipe website or cookbook recommendations? 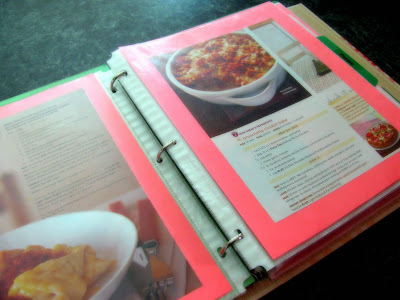 Great idea for the binder - that's what I use to corral all the random recipes I have floating around, too. Oh, one way to keep cookbooks from getting all spattered with food is to buy a cookbook holder - you just place the cookbook under the glass and it holds the book up for you and protects it from food all at once. I don't have one, but have been eyeing them for awhile... seems like a great invention! I think they sell them at Williams-Sonoma, and probably some other places. Great idea about the binder! I just started a new cooking blog www.lifewiththechambs.blogspot.com which is mostly dedicated to what my hubby cooks. Although I have been the one cooking lately. Just found your blog and I am in LOVE!!! 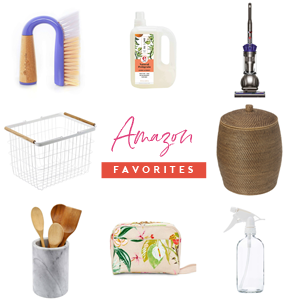 We will hopefully be moving soon and I am so excited to be implementing so many of your simple yet "big impact" tips!! I also use a binder to store recipes but what I have found is that I eventually run out of space. Maybe I just need to get a bigger binder or go through it once in a while and do an inventory of what tastes good, isn't worth keeping, etc. While reading this post I felt like I was looking through my recipe collection. I do everything exactly the same. Just discovered your blog today. I'm so glad I found it. You have some wonderful ideas. Thanks for sharing! i used to have tons of recipes floating around. after a while, i would look at them and realize that i would never make them. 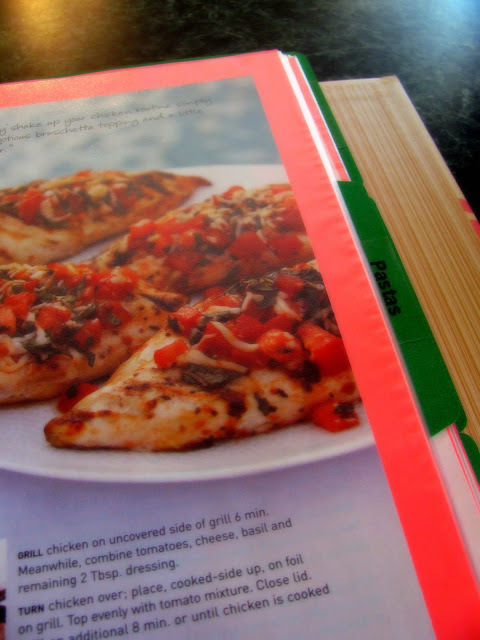 now what helps me save on space in my recipe binder is I only keep recipes that i know will actually cook. Oh my gosh! What a fantastic idea!!! I'm so going to do this!!! Thank you! I used to use this trick until I discovered extra wide dividers. They're just like standard dividers, except they are designed specifically to stick out past sheet protectors. Loving your blog...new follower. 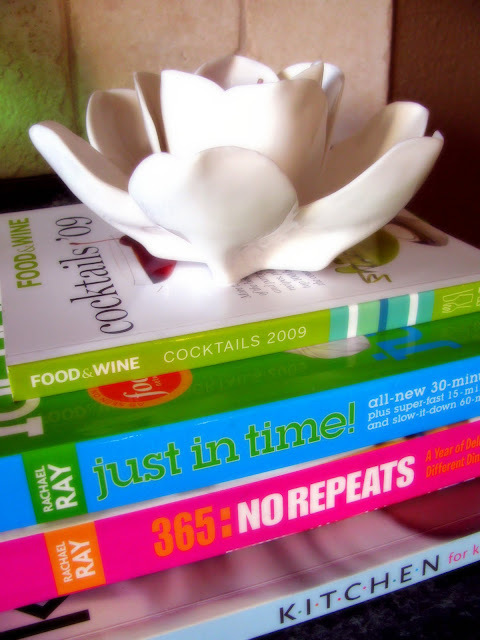 :) I have a totally different way to organize recipes...but only tried and true ones. It took a bit of effort, but so worth it...it's been over a year, and I still LOVE it!!! You can see it at http://livelearnlove226.blogspot.com/2010/01/organizing-recipes-something-different.html if interested. I've used binders for years. I know have 2" binders for different categories: Entrees, Salads/sides/desserts, Breakfast, Snacks/Appetizers, and even one for canning. I just had too many for one binder! Also ... I keep all my recipes on my computer too ... that way when someone asks for a recipe, I can just attach to email, or print. 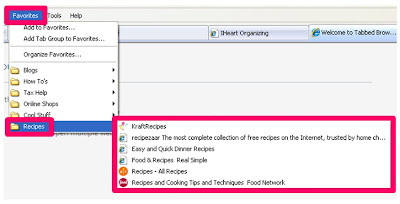 How do you organize your recipes on your computer? Any special way? I would love to do this! Make folder for each category, just like in a binder. The computer will even alphabetize the recipes for you. I scan all my magazine recipes this way. I can add my personal notes too. Best thing for me is i don't have to find storage space for the binders. Try using evernote, its an awesome app on android and ios but it has a computer site, I started using it for my school notes, then made a recipe book, you can add pics to it.. I made something like this for my 16 year old daughter for Santa's Birthday. We love to cook together but our recipes were a cluttered mess. As a work in progress, it's a perfect parent/child project. 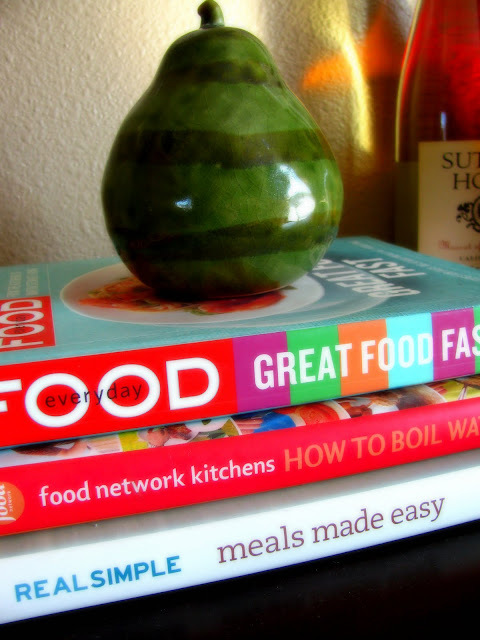 Love the idea for organizing all the recipes I have found in magazines and online. 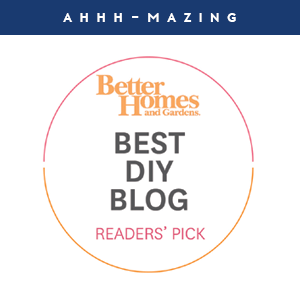 I found your blog on Tuesday and I'm reading it from the beginning - all posts! Just to justify why I'm comment today an older post. I was so proud because my method is very similar to yours! I have a lot of binders and cookbooks. 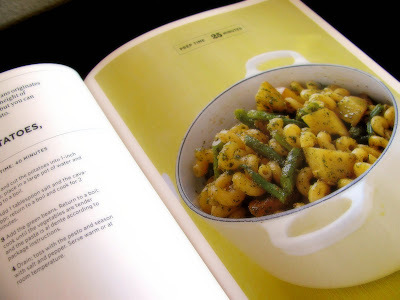 I also love cookbooks with photos - I just buy when they have it. I just need to be more organized with Internet recipes...I have a favorite folder with blogs and also another with links to recipes "to try" but there is a lot...and I have a lot in my e-mail to - I mail to myself. I need to spend some time organize into a file and order to test it. Anyway, I have a "rule" - test, at least, a new recipe per week. I will keep reading the blog! I love binders! Great ideas. Finding recipes online works best for me, so I keep a spreadsheet on Google Docs. Each column is a type of meal (ex: casserole), and I list the name of the dish and paste in a link to the recipe. Easy! I have saved some recipes this way, but at times the recipe was gone when I went to use it. I am thinking about downloading and saving the recipes on a flash drive. I started using a binder to collect my favorite recipes, as well, a couple years ago. If I pull something from a magazine to try and we all really like it, into the binder it goes! My "main dishes" section was by far the largest, so I decided to divide it into categories by the type of meat: beef roasts, steaks (or other sliced beef), ground beef, whole chicken, chicken breasts, boneless-skinless chicken breasts (we use these alot), and so on. For me, I would group together pork slice and pork cube recipes under "pork chops," but pork roast would be in its own section. I even have a section for recipes using leftover, cooked meats. Organizinge the main dishes this way makes it easier for me to match up recipes to my weekly menu plans, too. Thanks for sharing your ideas with us. 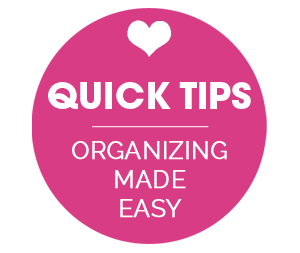 Because of YOUR blog, I have recently begun a very heavy organizing, 'fall cleaning' job at home. Just last night I grabbed three of our kitchen junk drawers (yes, three!) and completely cleaned them out. Felt so good! But I have a drawer full of magazine recipes that my hubby ripped out of his health magazines and they are driving me crazy. This binder is the PERFECT solution to taming the infamous 'recipe drawer'! Thank you so much for the constant inspiration! I love this idea! 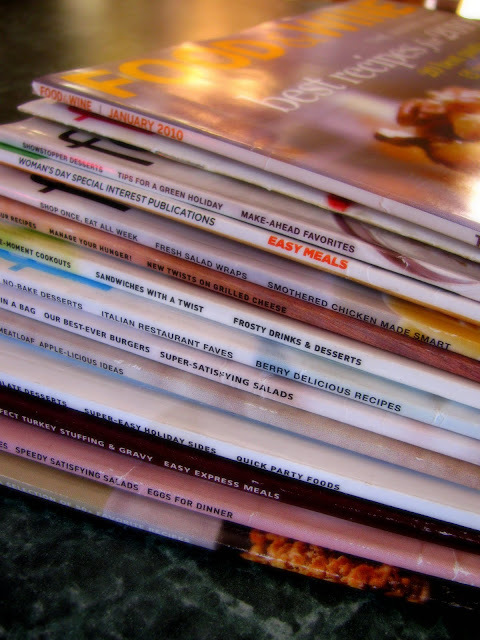 I've been looking for a way to organize my magazine recipes. Many of my magazine pages have recipes on both sides though, which is why I haven't done anything with them yet. Do you have any suggestions for that? If you use clear sheet protectors, you should be able to slide in the page and see both sides. Another option would be to scan it in and make a copy.